You don't need to play (or pay) by a big telco's rules. Let's face it: picking a carrier worth pledging your smartphone allegiance to can be a hassle, and plans offered by massive companies aren't right for everyone. These days, you can get cheap, reliable and surprisingly feature-rich wireless service without worrying about a bill from Verizon or AT&T every 30 days. You'll just have to start looking more closely at MVNOs, short for mobile virtual network operators. To be clear, these smaller companies basically lease data network access from the Big Four operators to repackage and sell under their own brands. The upside to these agreements is that every MVNO we discuss below has access to a full nationwide LTE network, so you don't have to worry much about losing coverage when you need it. (That said, if you're mulling a switch, don't forget to check the provided coverage maps!) We've tested and picked three MVNOs that offer reliable service and some fascinating approaches to billing that just might suit you better than a more traditional phone plan would. Oh, and a quick note before we go any further: we're assuming for the sake of argument that you're interested in phone service for a single person. Of the three companies we've spent our time testing, only one offers multi-line or family plans, so sticking to a major carrier might be a smart decision if you have to wrangle multiple phones. 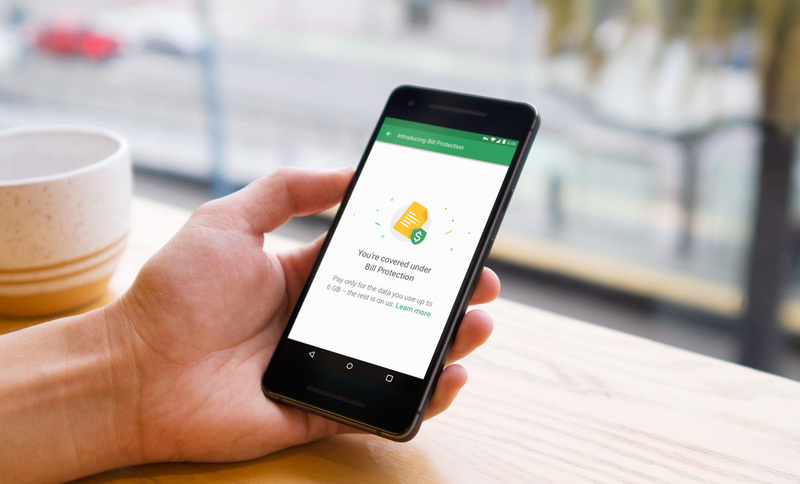 Launched in 2015, Google's Project Fi has to be one of the most technically ambitious wireless services available. That's because Fi as a service doesn't just have one carrier partner, it has three: T-Mobile, Sprint and US Cellular. Each Project Fi phone is meant to switch between those three networks depending on which has better coverage where you happen to be at the moment. Having used the service since launch, I can say those transitions are seamless. You'll never notice them yourself, either -- as complicated as it sounds, the whole thing just works. Here's how it works: You'll pay $20 for unlimited minutes and messages, but data costs are considered part of a separate bucket. While Google doesn't specifically use the word "unlimited" to describe its plans, the company charges you $10/GB until you hit 6GB of data use in a month. After that? They stop charging you altogether. Even better, data speeds stay nice and fast until you hit the 15GB threshold, which Google says only applies to 1 percent of current Fi users. After that, you're kicked down to EDGE speeds until your billing cycle resets or you agree to pay $15 for every gig of data past 10GB. That might sound convoluted, but the results aren't: Unless you're the type of person who needs loads and loads of high-speed data, your plan won't cost more than $80/month. (The usual taxes and fees might put you over the top, though.) Even better, you only get charged for the amount of data you actually use, so you'll wind up with a smaller bill on months where you don't need your phone as much. If you're a frequent traveler with a compatible phone, Project Fi might be invaluable. Partnerships with carriers in over 170 countries mean that in almost every case, you'll be able to turn on your Fi phone once you've landed and start Instagramming every little thing. Each gigabyte of data consumed abroad will set you back $10, and calls made overseas still cost the standard (and slightly eye-watering) 20 cents a minute. That said, there's nothing stopping you from chatting up friends at home through Skype, WhatsApp or Facebook voice calls instead of traditional phone calls. Because of the way these phones have to switch between T-Mobile and Sprint towers depending on which are stronger in a given area, Project Fi has the most limited selection of smartphones on offer. 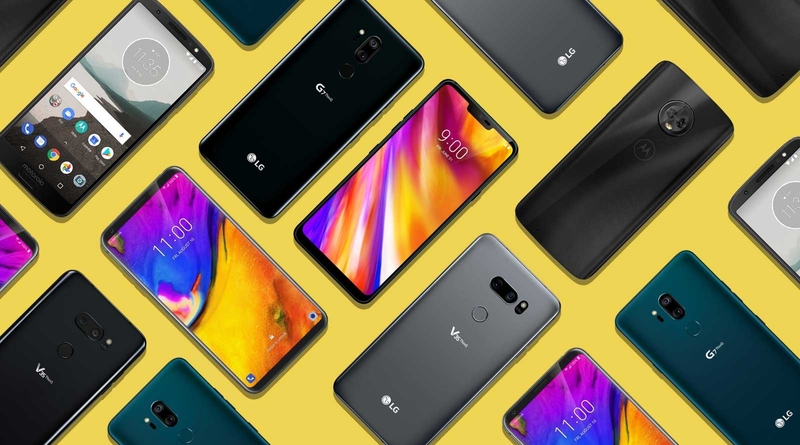 At the time of publication, Google officially supports the Nexus 5X, Nexus 6P, all generations of the Google Pixel, the Moto X4, the Moto G6, the LG G7 ThinQ and the LG V35 ThinQ. I say "officially" supports because you can actually throw your Project Fi SIM into just about any unlocked GSM phone and get most of the same functionality -- you're just stuck using one carrier instead of two. This isn't a terrible way to go if data use is your primary concern, but the sticking points otherwise add up quickly. In my experience, at least, every phone call I received appeared to originate from the same California phone number. Others have reported degraded connection and call quality too, so ultimately you're better off sticking to Google's approved hardware. Mint Mobile (formerly MintSIM) is an interesting option to consider, and not just because of its approach to mobile plan pricing. It's also an MVNO spun out from yet another MVNO, called Ultra Mobile, which is best known for its focus on cheap, unlimited international calling plans for foreign-born folks living in the United States. Both services are the brainchild of serial entrepreneur David Glickman and both rely on T-Mobile's network to power their plans. That said, Mint arguably offers the most competitive deals out there for people who know exactly what they need from their phones. Mint's hook is that you can save big if you're willing to pay for multiple months of service in advance. Let's say you need 5GB of LTE data each month: You could shell out $90 up front for three months of service, which works out to a $30 monthly charge. Not bad. Lock in for slightly longer terms, like six months or a year, and that rate drops to $24 a month and $20 a month, respectively. Obviously, shelling out more cash up front isn't the ideal approach for everyone, but it can lead to some significant savings if you have a good grasp on how much data you actually need each month. If you don't, and prematurely blow through your allotment, you'll just have to pay for more -- you're looking at $10 for 1GB of extra data or $20 for 3GB. Since Mint's approach is unorthodox for a small wireless service, it tries to sweeten the deal with some aggressive introductory rates. At the time of this writing, the cost of a plan with a three-month term is the same as the cost of a plan with a 12-month term, which means you're getting the best rate even if you don't need the service for long. Mint also offers a seven-day trial period in which you can ship your SIM card back and get a full refund, just in case. You can use any unlocked GSM phone with Mint Mobile, though for best network performance, you'll want to make sure it supports LTE bands 4 (T-Mobile's AWS) and 12. If that means nothing to you, Mint's own compatibility tool will be able to help -- just punch in your IMEI number and you'll have an answer in moments. If you're looking for a phone to use with Mint, though, a good rule of thumb is to pick up a T-Mobile-branded device. While the company uses a clever network-switching trick to ensure solid performance, Republic really shines for people who barely use data at all. The most basic "My Choice" plan costs $15 and offers unlimited calling and messaging -- the company claims that almost a quarter of its customers don't use any data, so those of you who never need to be on YouTube and Twitter are in good company. If you do ever need LTE data, though, you can add some to your account for $5 per gigabyte. Here's where things get tricky. You can bring along any ol' unlocked GSM phone, but to get the best possible performance out of Republic Wireless, you'll have to invest in what the company calls "Republic 3.0"–compatible devices. So far, the list includes the Alcatel A30, Moto E4 and E4 Plus, Moto G5 Plus and G5S Plus, Moto G6, Moto X4, Samsung Galaxy J3, Galaxy J7, Galaxy S8 and Galaxy S9. Republic sells compatible versions of those devices with prices starting at $199. A whole host of other devices are compatible with full Republic service; you can find the full list here. If your small wireless carrier of choice doesn't appear on this list, don't fret: We've only included services we've tested for ourselves and found reliable for consistent use. As we test more, we'll revisit this story (and work on others too) to help make sure you can find the kind of service that's right for you.